Speed and skill are all that can save You. 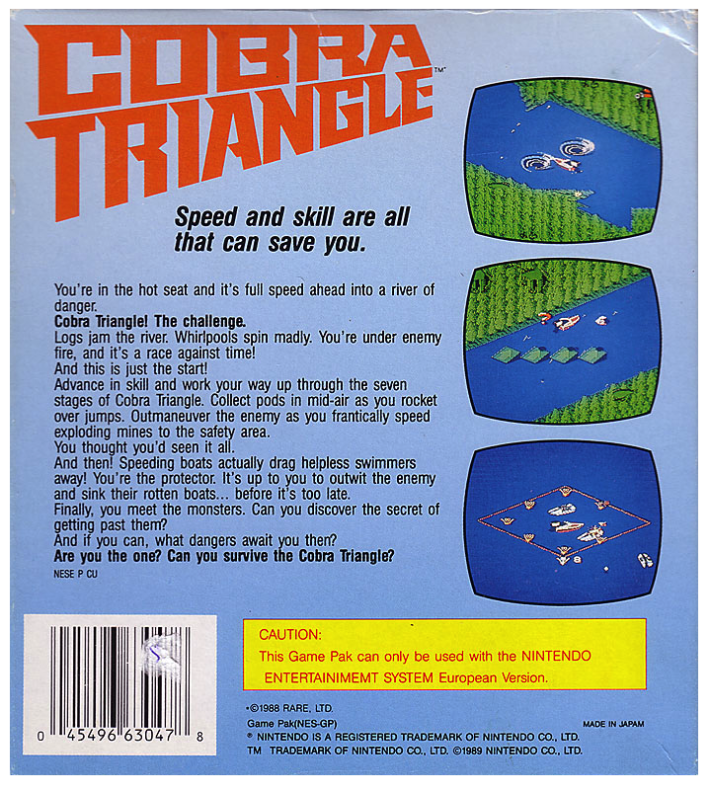 You're in the hot seat and it's full speed ahead into a river of danger! Logs jam the river, whirlpools spin madly. 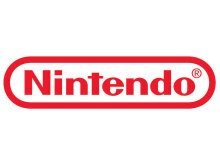 You're under enemy fire, and it's a race against time! And this is just the start! 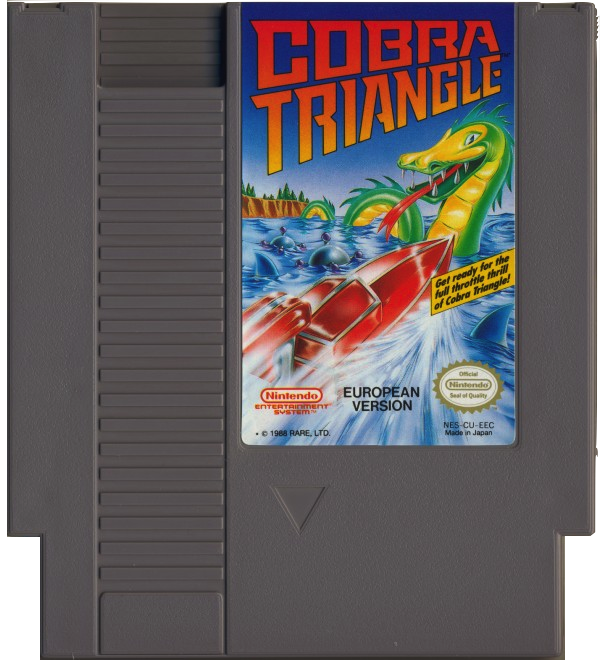 Advance in skill and work your way up through the seven stages of Cobra Triangle. Collect pods in mid-air as you rocket over jumps. Outmaneuver the enemy as you frantically speed exploding mines to the safety areas. You thought you'd seen it all. And then! Speeding boats actually drag helpless swimmers away! You're the protector. It's up to you to outwit the enemy and sink their rotten boats... before it's too late! Finally, you meet the monsters. Can you discover the secret of getting past them? And if you can, what dangers await you then? Are You the one? 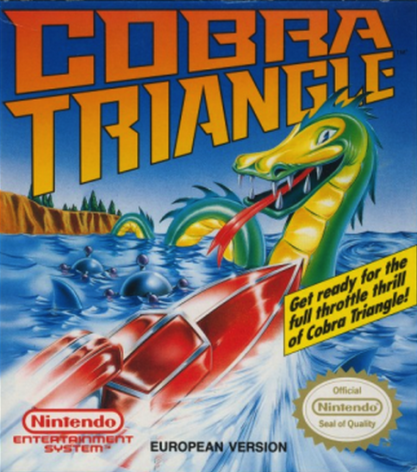 Can You survive the Cobra Triangle?